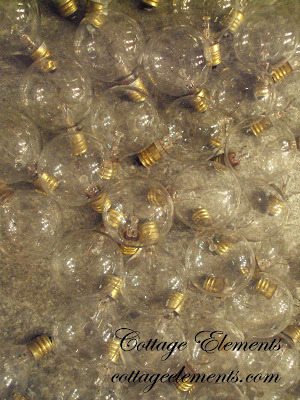 Cottage Elements: I Have a Bright Idea . 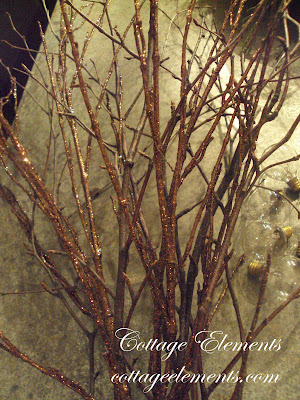 . .
All I needed now was some items for a little extra embellishment. 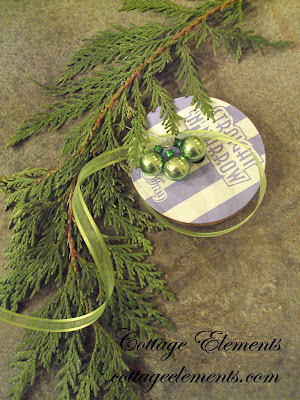 Greens, ribbon and vintage ornaments. Hey, I'm really getting into the ribbon and greens thingy. Watcha think? You impressed? Ha! So next time, think out of the box. 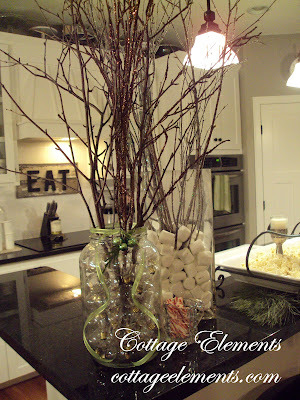 Don't use the typical clear rocks in your arrangement. I think you might be surprised at what you'll find! 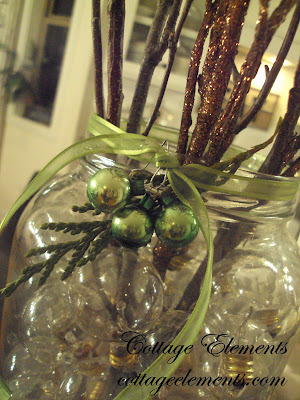 I am really diggin' the jar, the bulbs AND the twigs. 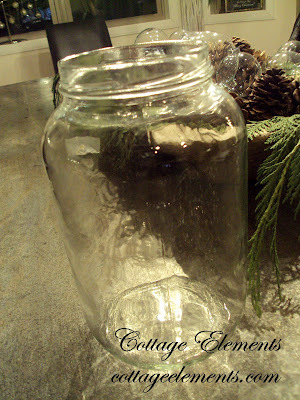 Throw in a little burlap and it would be right up my alley!! Merry Christmas! It was great chatting the other day - miss you. Love it! I know I'll be "borrowing" that idea. That is really very pretty, what a great idea. Love the song, by the way! Merry Christmas! 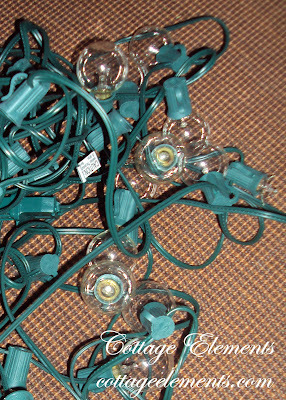 Oh no I just threw away a very similiar "broken" string of lights! What a beautiful idea Lynette! Hope you all have a Merry Christmas! 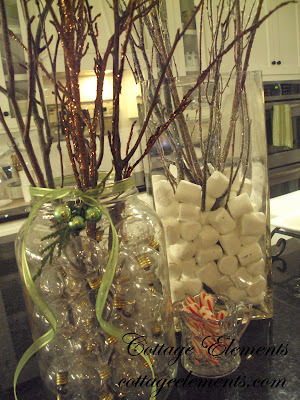 Great idea Lanette and it turned out so pretty! Hope you had a great Christmas. Enjoy your week! Free is good! I threw a bunch of these away in November :(. I'm sorry to hear about the fall. That happened to me although luckily the lights were ok.